Creating and maintaining a long-term sustainable relationship with customers help firms to increase their performance as well as results in durable competitive advantages (Cheung, Chan and Limayem, 2005). This is even more important in the online business, due to a higher degree of transparence and lower switching costs compared to the stationary trade. To build up customer retention, loyalty programs have become the most commonly applied marketing tool for Customer Relationship Management in the retail sector (Rese et al., 2013). Thereby, consumers should be encouraged to increase their purchase frequency and amount at the respective retailer (Stone et al., 2004). To share operating costs and to benefit from cross-selling opportunities as well as from extensive customer insights, more and more firms have decided to join a so called multi-vendor loyalty program (Bijmolt, Dorotic and Verhoef, 2010). Such programs are characterized by a coalition of participating retailers as well as an independent specialized operator that manages the loyalty program. Strategic benefits through spillover effects of strong brands and acquisition opportunities on other firms’ customer base thereby especially apply for new and rather unknown participants that strive after a quick start (Dorotic et al., 2011). It has been shown that multi-vendor loyalty programs facilitate the acquisition of new customers as well as lead to a significantly higher intention of their users to purchase from the participating companies (Rese et al., 2013). In contrast, prior research has also shown that multi-vendor loyalty programs fail to create switching barriers for the participating companies and thus do not foster consumers’ loyalty towards them (Rese et al., 2013). These divergent findings have reinforced skepticism and created an enhanced interest concerning the effectiveness of such programs. Prior research has focused the attention on the programs’ results for participating firms and has attributed their effectiveness exclusively on the programs themselves (Frisou and Yildiz, 2010). However, studying multi-vendor loyalty programs just on the basis of the programs’ functioning and design, i.e. their intrinsic properties, excludes the important fact that also extrinsic causes affect their effectiveness. To fully understand what makes these programs efficient one has to investigate the consumers’ way of using it as well as the influence the program has on their online purchase process and decisions. Therefore, the primary aim of this paper is to address the question of how the membership of a multi-vendor loyalty program influences the consumers’ online purchase behavior and process. 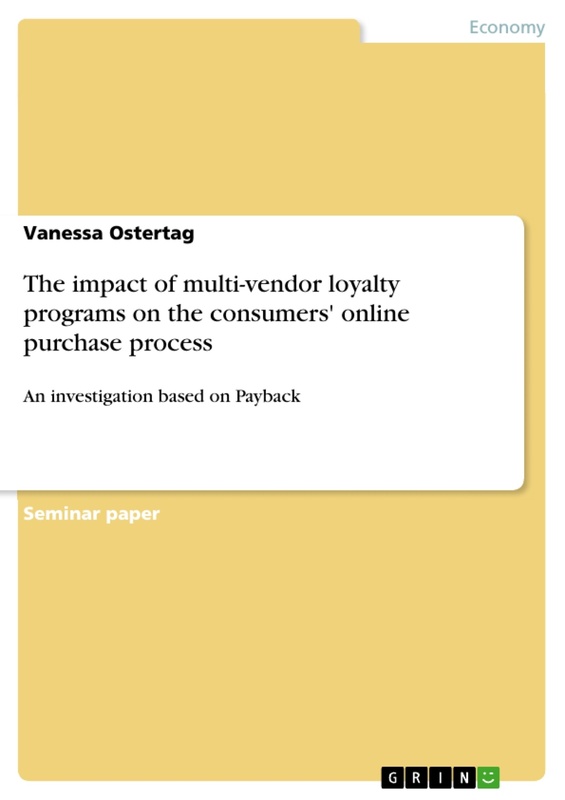 The issue is approached by applying it to the appropriate case of Payback, Germany’s largest and most popular multi-vendor loyalty program (Payback, 2014). To do so, I conducted open-ended interviews Thereby, the effectiveness of a multi-vendor loyalty program can be influenced and increased even before the actual purchase process takes place. The paper is organized as follows: First, I will give a brief overview over the past research on multi-vendor loyalty programs and will show that the existing literature has to be extended to fully understand the effectiveness of such programs. To investigate the way consumers integrate the loyalty program within their online purchase process and thus to illustrate the divergence compared to the standard process of non-members, prior studies on consumers’ online purchase behavior are reviewed. Subsequently, the rationale and the setting of the study are described and empirical results are presented and further explained. The paper concludes with theoretical and practical contributions as well as the study limitations. Prior research on multi-vendor loyalty programs has resulted in divergent findings and thus reinforced skepticism about their effectiveness. On the one hand, it has been shown that they do not create switching barriers for the participating companies and thus do not foster consumers’ loyalty towards single respective retailers (Rese et al., 2013). Within multi-vendor loyalty programs consumers’ loyalty to one specific seller is not necessary to make the program effective and successful. Instead, sufficiently attractive alternatives for customers among the participating companies, i.e. appealing shop portfolios, are needed. Since many different shops are involved, consumers participate in the program even if they do not have a high loyalty towards any of the provided retailers. Simultaneously, there has been evidence that these kinds of loyalty programs facilitate the acquisition of new customers as well as lead to a significantly higher intention of their users to purchase from the participating companies (Rese et al., 2013). Customers can be won over from other participating retailers, which is especially valuable for rather small and unknown online shops. 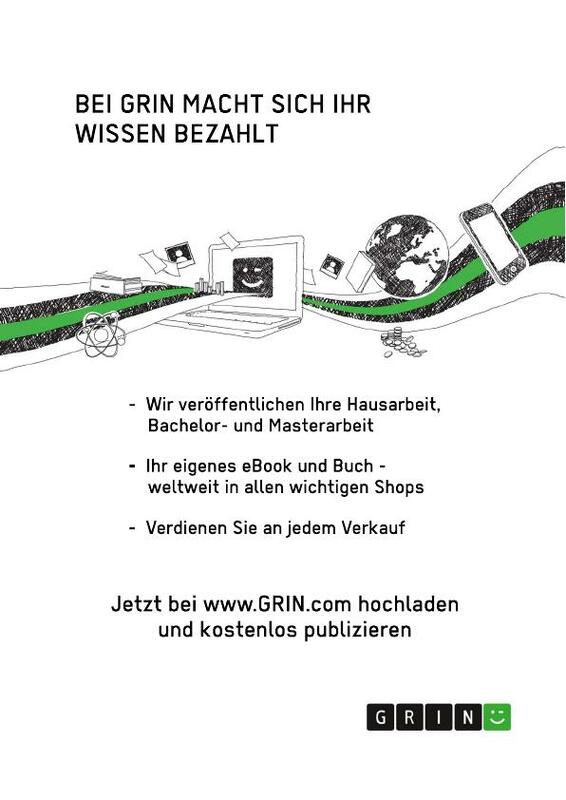 In the online shopping environment a higher degree of trust is required than in physical shops to reduce the uncertainty towards unknown retailers (Van der Heijden, Verhagen and Creemers, 2003). Through joining a multi-vendor loyalty program and getting promoted by it, smaller online shops can consequently overcome the lack of information that may cause consumers not to consider their offers. Another advantage of multi-vendor loyalty programs, especially compared to single-vendor loyalty programs, is the fact that members obtain bonus points and thus rewards for purchases at each of the partner companies. Thereby, these programs increase customers’ convenience, enable faster point collection as well as provide more redemption options (Dorotic et al., 2011). The effectiveness of loyalty programs can be studied as a result or as a process (Frisou and Yildiz, 2010). In the first case, a loyalty program is effective if it produces the expected results and if the targeted objectives are reached. Within corresponding studies comparisons between members and non-members have been made (e.g. Bolton, Kannan and Bramlett, 2000) and questions like “Do vendors benefit from promotions in a multi-vendor loyalty program?” (Dorotic et al., 2011) have been investigated. These comparisons try to reveal whether or not loyalty programs result in an altered firm performance or consumer behavior. Beyond, they do not provide any explication for the changes observed and thus do not advance the understanding of the underlying efficiency causes. Apart from that, effectiveness can be viewed as a process intended to optimize the results of the respective programs’ operations (Kahn and Myers, 2005). Thereby, their adoption and functioning has been investigated and researchers have been interested in effects of single components of the programs’ designs. For instance, an aspect that has been studied is the way the effectiveness depends on different types and timings of rewards. Keh and Lee (2006) thereby revealed that, in general, if the service experience is satisfactory delayed rewards work better than immediate ones. Furthermore, the psychological points-pressure mechanism has received special attention, meaning that the closer a member feels to reaching a specific rewards threshold, the more likely he is to make additional purchases to obtain it (Taylor and Neslin, 2005). Within the investigation of effectiveness as a process, recent research has tended to focus almost exclusively on the programs’ characteristics themselves: “[W]hile [prior] studies situate effectiveness within the program’s functioning, it is still the program that, through its intrinsic properties, is the main source of effectiveness” (Frisou and Yildiz, 2010, p.82). Recognizing this limitation, the named authors emphasized that the effectiveness of a loyalty program also has extrinsic causes and argued that research should further consider the interactions between the users and the loyalty programs. Their study consequently illustrated the influence on the customers’ level of expenditures through operant learning, i.e. consumers’ learning process concerning the use of the program over time. However, to fully understand what makes multi-vendor loyalty programs efficient one also has to investigate the consumers’ different ways of using such a program in general as well as the influence it has on their online purchase process and decisions. Existing literature on consumers’ online buying behavior provides different approaches to describe single stages within the online purchase process. Malik and Guptha (2013) defined five stages similar to those associated with the stationary trade: problem recognition, information search, evaluation of product options, purchase decision and post-purchase support. Another way to describe the online consumer behavior is to divide it into the phases of intention, adoption and continuance (Cheung, Chan and Limayem, 2005). Adoption in this regard signifies the actual online purchase while continuance depicts the consumer’s online repurchase. Ultimately, Chen and Chang (2003) conducted in-depth interviews in which they encouraged informants to describe their online shopping process and thereby identified three common components.  The first, called interactivity, can be compared to the physical e environment in a traditional retail store. It contains all factors that link the buyer with the online merchant website, including the respective internet service provider (ISP) as well as intermediaries and promotions. Transaction as the second component includes factors like price, convenience and security, directly affecting the consumers’ purchase decision. The last component, referred to as fulfillment, incorporates factors such as delivery, exchange and return policies as well as post-purchase services. The authors additionally developed a descriptive model that illustrates the complete online purchasing process ranging from the customer’s computer until their post purchase satisfaction. In the following, based on the descriptions of the online purchase behavior and process mentioned above, Figure 1 depicts a summarizing overview of the existing knowledge and suggestions. This consolidation of different models serves as a foundation during my further procedure. Moreover, it constitutes a reference framework for my following results. 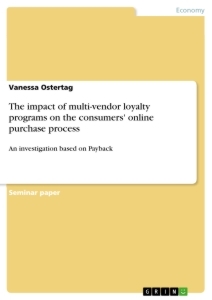 As mentioned above, the investigation is applied to the specific case of Payback since it displays Germany’s largest and most popular multi-vendor loyalty program. Altogether, more than 600 business partners are involved in the program, offline as well as online, and within the last year consumers collected bonus points worth 183 million Euros (Payback, 2014). As the aim of the study is to reveal and analyze individual decisions and dynamic processes, a qualitative approach was adopted. To gain knowledge concerning the question how the online purchase behavior of consumers is influenced by their owning of a loyalty card, I interviewed eight informants, males as well as females. The sample consists of people of different age groups, ranging from 20 to 50 years old, in order to generate a wide range of outcomes. Moreover, the interviewees own their Payback card for at least one year and have been shopping online for more than one year and at least once a month. Consequently, they are all experienced both concerning online purchasing as well as dealing with the loyalty program and card. I conducted open-ended interviews which were recorded and later typed out. The interviewees were first asked about their motives and prior experiences concerning online purchasing. They were encouraged to share information about why they shop online as well as how often they purchase what kind of products at which online shops. Furthermore, they were requested to reveal their motives for owning a Payback card and their expected utility derived from the loyalty program. Moreover, they were encouraged to describe their online purchase procedure. Thereby, they should describe their decision-making process of when, what and where to buy as well as their criteria for the online shop selection. I wanted to figure out whether they search purposefully for specific products or whether they browse different online stores to draw inspiration and enjoy themselves. Additionally, I asked them about possible situations in which they bought products online without having a specific purchase intention as well as situations in which they bought at online shops that have been unknown for them since then. In the last section I asked them about their usage of the Payback loyalty program. The informants were motivated to talk about their way of dealing with the loyalty program in terms of how often they visit the Payback website and with what kind of intention. Furthermore they were asked about how Payback further reaches them with their promotions. I wanted to know whether the informants make use of shop recommendations and special offers as well as how they respond to them. Finally, they were asked about their awareness of the amount of points collected and the ways used to redeem these bonus points.